of the industry leading brands. 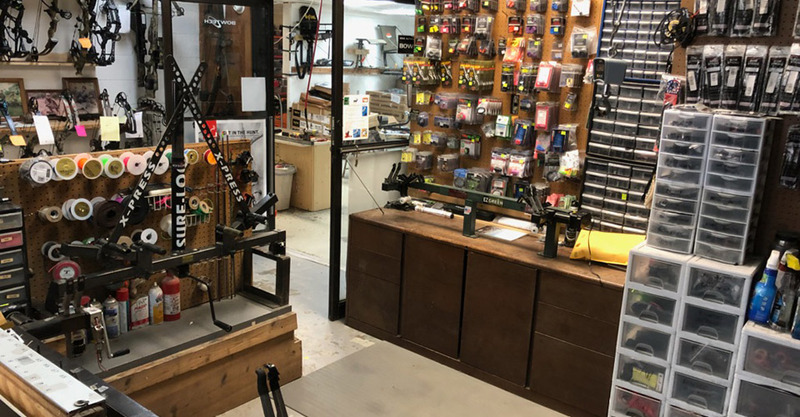 Back by more than 80 years of hunting and sport experience, Precision Archery is your destination for bows, crossbows and a complete breadth of archery supplies and accessories. Our inventory is unbeatable and includes quality name brands and products. We even have an on-site range! Visit us today to stock up on supplies or find your next bow. Whether you shoot for sport or are an avid hunter during bow season, having the right equipment and supplies makes all the difference in your archery abilities. To make sure you’re drawing and notching with the best possible equipment, visit Precision Archery. As the largest archery store in Bridge City, TX, we have absolutely everything you could possibly need to shoot your best. From our selection of hundreds of bows and crossbows, to hunting supplies and game calls, you’ll never need to look anywhere else for your archery needs. And with decades of experience behind our counters, we’re able to help you find exactly what you’re looking for—even if you’re not sure! There’s no better place to go when you’re shopping for a new bow than Precision Archery. Not only do we have an immense selection of bows in stock for you to choose from, our inventory is diverse enough for any caliber shooter. No matter your ideal bow size or weight, or what your shooting proficiency is, we’ll narrow the selection of bows to make finding the perfect one easy. Plus, we have an on-site archery range in Bridge City, TX where you can get a better feel for your equipment. When you leave our store, we want to make sure you’re fully equipped to be the best archer you can be. We stock hundreds of different bows and crossbows, with an on-site range that enables you to find the bow that’s right for you. Our inventory also contains a tremendous range of accessories, including targets, scopes, harnesses, tree stand accessories, deer feeders, blinds and much, much more! With over 80 years of combined archery experience, our staff is determined to help you get the products that make you the best archer you can be. Our business has been family-owned and -operated since 1986, bringing only the best in archery products to hunters throughout Texas and beyond. We’re a Better Business Bureau (BBB) business, a member of the National Federation of Independent Business (NFIB) and the National Archery Buyers Association (NABA). From bows and crossbows, to hunting accessories, Precision Archery is your premier outfitter. Contact us today for information about our extensive inventory or to speak with our experts.